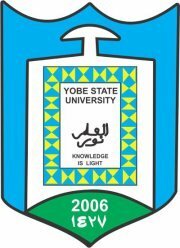 Yobe State University 2018/2019 Post UTME Screening Form is Out Online. YSU Post UTME Screening Form 2018… In this article you will be given detail information about Yobe State University, Damaturu Post UTME Screening Form, Screening Requirements, How to Apply for Yobe State University, Damaturu Post UTME Screening Form, Application Deadline and other necessary updates for free. From the office of the Registrar, Yobe State University, Damaturu, this is to inform all candidates who apply for admission through UTME that there will be screening exercise for those who chose Yobe State University as their FIRST CHOICE with an aggregate score of 150 and above. Courses Offered at Yobe State University. Yobe State University Post UTME Screening. Candidates are to purchase registration Scratch Cards at a non- refundable fee of two thousand naira (N2, 000.00) payable into the Yobe State University Account Number: 2032347328 at the First Bank in Damaturu, Gashua, Nguru and Potiskum. SSCE Results, i.e. WAEC, NECO or their equivalent (at not more than two sittings}. Please note that the date for 2nd Choice UTME and Direct entry candidates screening will be communicated later. Also, note that only candidates who paid and registered for YSU Post UTME screening will be considered for admission.